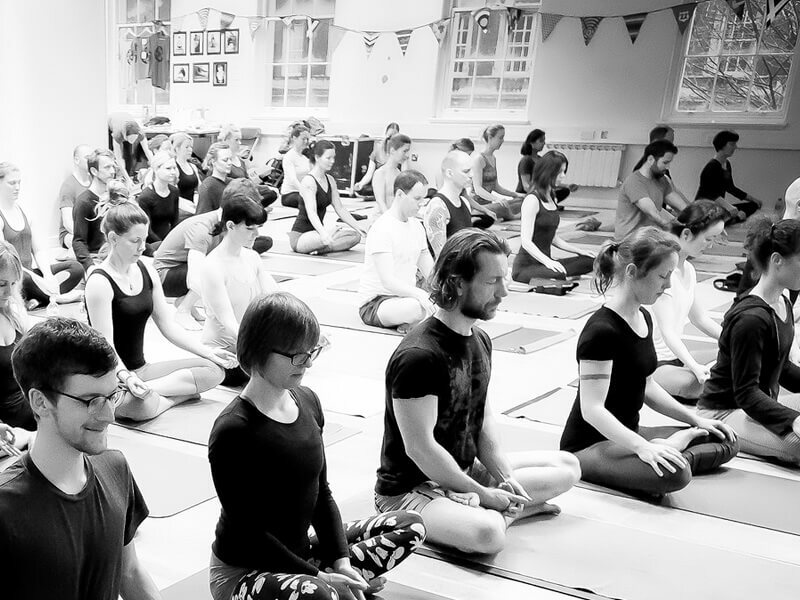 On 8th March 2019 Stillpoint Yoga London celebrated its 10th birthday. Apart from my marriage to Louise and becoming a father, running Stillpoint has had the greatest effect on me as a person. It has shaped me completely. With all the travelling I do, and retreats and workshops I’ve had the honour of teaching at, it’s this day-to-day work over weeks, months and years that is the most profound for me. I’ve realised teaching yoga is about turning up for someone. Being present again and again so they can trust you’re there for them. 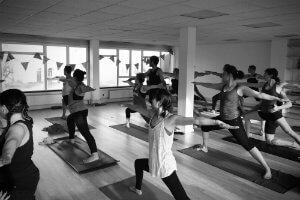 Stillpoint Yoga London is my home. Where the deepest work has happened and continues to. Teaching in the middle of a city, creating a space for people to reflect on their lives before they start their day, is so, so valuable. It’s practising in the eye of the storm. Our job is to help people meet and transcend whatever their storms turn out to be, with as much kindness to themselves as they can. To all of you who I’ve had the privilege to share space with over the past 10 years: thank you. It’s been such an honour. I hope I’ve helped in some way. 10 years. It feels like only yesterday that we opened our doors. The two of us, Ozge (Oz) and I, embarking on a journey of discovery together, seeing what’s possible if we collaborated on a shared vision: Awaken Yourself Awaken Others. That was the first ever Stillpoint tagline. That was what it was about for us. To be present to ourselves so we can then be present for others. We were so excited as the first student walked in, both trying to hold back as that one student practised on that first day. Not wanting to overwhelm David with two teachers eager to help him. 10 Years. Those early years were about helping each other. Oz and I both had full time jobs. Stillpoint was set up out of love and we’d both go to work after it closed. Still, there was work to do. Oz had this great plan because she knew I personally had so much to do outside of Stillpoint. She saw that I had a full time job, and needed to support Louise and our 3 young boys. So we agreed that she would do all the admin and correspondence while I would just turn up and teach. But because she had such a travel bug, I would cover for her when she went away. I covered a lot… It worked perfectly and allowed me to create a deeply held morning routine that I still hold dear today. It also helped that Louise and the boys loved Oz dearly. 10 Years. We also saw the benefit of bringing our teachers in to meet our students. We hosted workshops quite quickly after we opened our morning classes. We would only invite teachers who we knew and loved already. John Scott and Lucy Crawford came to teach (2009), as did David Keil (2010) and Swami Nityamuktananda Saraswati. All dear, all loved. This was a lovely way of embedding our own teachers into the fabric of Stillpoint. This way of having our teachers support us taught us so much. It’s the way in which we continue to invite to this day. Now we have Manju, Greg, Kia and others too, all who embody the spirit of our morning classes. Having teachers who are aligned with our principles of support, nurturing and kindness. It’s also what compels me to travel to like-minded studios and shalas today. To support their work like mine was and still is supported. 10 Years. So many ways of helping others. I remember John Scott saying to me, “You have to be able to teach 1000 people the same thing in 1000 different ways”. This statement is so true. I remember it every time I meet someone new, or re-engage with someone again. Seeing that even though you’re still teaching that one thing, the nuances of Ashtanga yoga are endless. That every practice is different and to always remember the changes that occur in every moment, whether gross or subtle. Being able to respond to those changes is key. ‘Everything changes, nothing stays the same’ is a mantra that has been ongoing for me since 2012. It rings true in every moment. 10 years. Countless students. Countless ways that I myself have been taught by others turning up. But everyone met, I hope, with a smile and a welcome. These things were important to us both, right from the beginning. They hold true now. People have given over their precious time to spend with us. 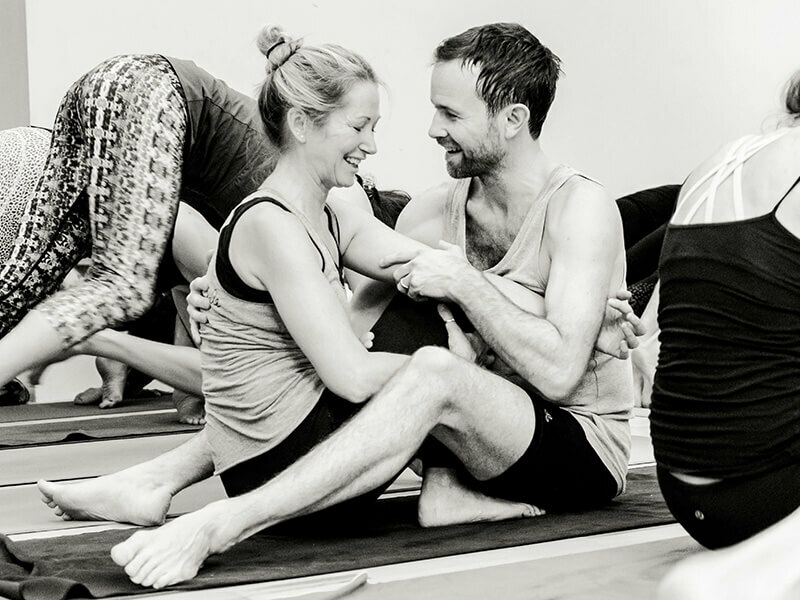 The least we could do was offer kindness, warmth and a soft, gentle way to use the practice of Ashtanga yoga to connect them to their bodies in ways that made sense to them. This was the way we met practitioners then, when we were two. This is how I hope we meet them now, when there are more teachers teaching. 10 Years. Realising that connecting with the teachers that I have over the years, and with each practitioner who has come, has been enough for me. Especially when it comes to sharing this beautiful practice I hold so dear. This is just what I know and this is how I help. This is how I have evolved to teach this method. I like to think that the work we have done here at SYL has been of service to the ongoing story of Ashtanga yoga in our culture. That not being connected to the ‘tradition’ has been okay and I’ve had wonderful support from my countless friends, teachers and mentors. We’ve just not come from where it’s been ‘traditionally’ supposed to have come. And I’m okay with that. I think our students are too. I have deep gratitude for the place we find ourselves. And ultimately, how we help others. 10 Years. Only a few teachers. Those who have taught at SYL have come through the ranks of SYL or my life somehow. Maria, Lee, Laura, Rachel, Siobhan, Hinako, Andy, Narmin, Claire, Wendy, Sarah, Alain, Caroline, Havva. All have played their part in keeping the spirit of the SYL room alive and kicking. Because that is what SYL has always been about. Spirit. 10 years. Different places. Being able to grow slowly in central London was pivotal. The original Guys building we were in between 2009 and 2016 was a bit grubby but oh so vital for us to establish ourselves. That place was sent from above… To have access to so many rooms allowed for us to expand slowly over that time. Moving from that place was hard but it had served us so well. I’m proud of all our practitioners who were able to move with us when we had to change venues. To continue to just turn up and practise quietly, absorbing the feel of our SYL community into any new space we found, shows what we have is so special. 10 Years. Two people at the start. One left now. I remember Oz’s bright endearing laugh. She’d smile with her eyes. We’d laugh excitedly just to see where we’d be in a few years’ time. There was such potential with that one. Such a great loss to the world. And that’s why we are at 10 years. When she died in 2012 I didn’t know what to do or how to move. How to be. But after the incredible wave of support from our community and teachers I vowed to continue. To just turn up each morning and continue. Meeting people, helping people, being there for people. Being so mindful of the impact of my practice and how it impacts others. Because that’s what this work is really about. Being truly present for others. And getting out of your own way while doing it. When we began 10 years ago, on 8th March 2009, it didn’t cross our minds that there would only be one of us left 10 years later. We were just excited to begin. And that’s why SYL is 10. When Ozge died I also vowed to never stop beginning again. To never stop thinking like it’s the first time I’m meeting someone. Because that’s where the power is. That’s where the magic lies. And that’s how Ozge continues to live. That’s how she continues to dance with us. It’s how Stillpoint has always danced. Through all the people who come. The question I’ve always offered is: How will you continue to dance…? Sign up to our monthly newsletter and be one of the first to hear about our many popular events when you join our community email list. 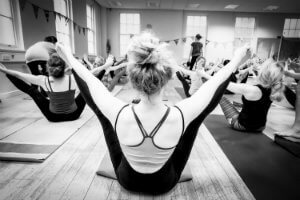 Join our daily classes, yoga workshops and community events and experience the power of being present in the SYL community.